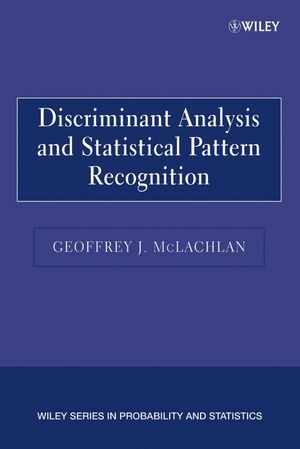 "For both applied and theoretical statisticians as well as investigators working in the many areas in which relevant use can be made of discriminant techniques, this monograph provides a modern, comprehensive, and systematic account of discriminant analysis, with the focus on the more recent advances in the field." ". . . a very useful source of information for any researcher working in discriminant analysis and pattern recognition." Discriminant Analysis and Statistical Pattern Recognition provides a systematic account of the subject. While the focus is on practical considerations, both theoretical and practical issues are explored. Among the advances covered are regularized discriminant analysis and bootstrap-based assessment of the performance of a sample-based discriminant rule, and extensions of discriminant analysis motivated by problems in statistical image analysis. The accompanying bibliography contains over 1,200 references. 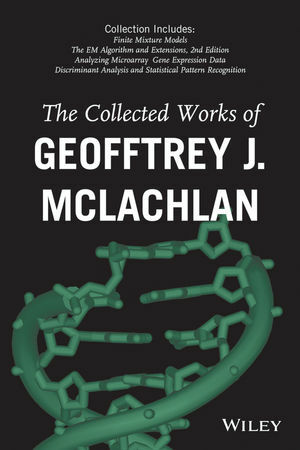 Geoffrey J. McLachlan, PhD, is Professor of Mathematics at the University of Queensland, Australia. He is the author, with David Peel, of Finite Mixture Models(Wiley) and, with Thriyambakam Krishnan, of The EM Algorithm and Extensions(Wiley), among others. 2. Likelihood-Based Approaches to Discrimination. 3. Discrimination via Normal Models. 4. Distributional Results for Discrimination via Normal Models. 5. Some Practical Aspects and Variants of Normal Theory-Based Discriminant Rules. 6. Data Analytic Considerations with Normal Theory-Based Discriminant Analysis. 7. Parametric Discrimination via Nonnormal Models. 10. Estimation of Error Rates. 11. Assessing the Reliability of the Estimated Posterior Probabilities of Group Membership. 12. Selection of Feature Variables in Discriminan Analysis.